Your crayons can change the world. Turn discarded crayons into environmental and art education learning opportunities. 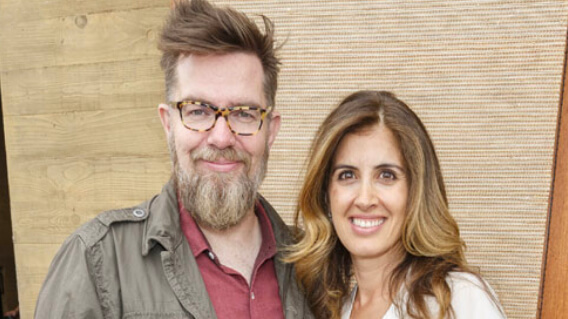 Are you part of a restaurant who wants to make a change? 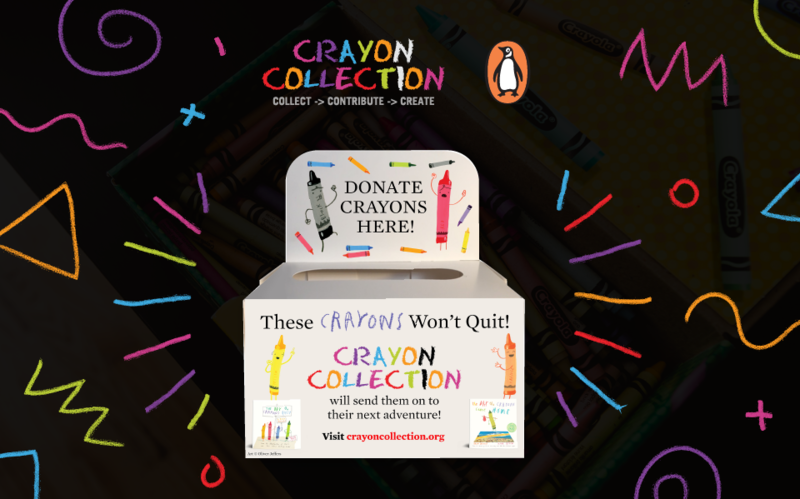 Join our #TheseCrayonsWontQuit campaign in partnership with Penguin Young Readers. We have heard from troops around the country doing great work collecting and donating crayons. We wanted to honor their hard work with these awesome badges. Click here to learn how to earn yours! 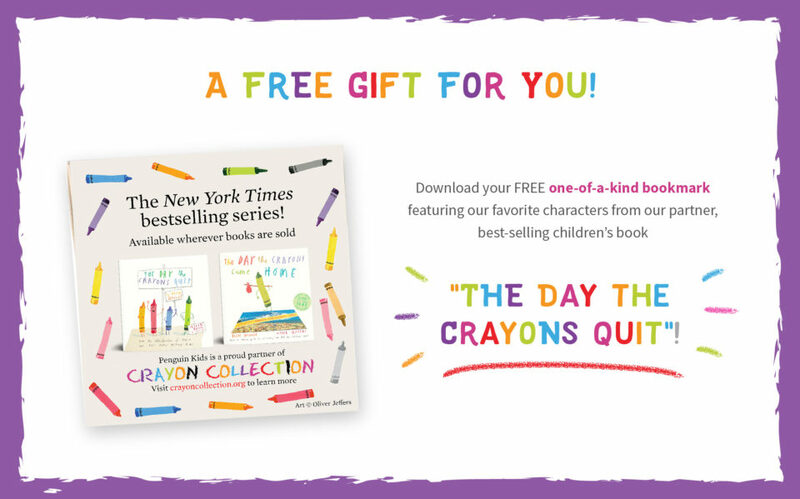 Click here to download your free “The Day The Crayons Quit” bookmark! 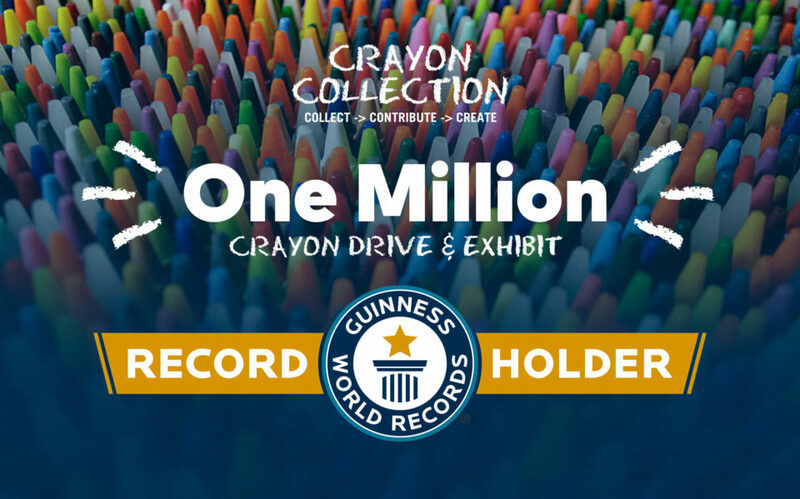 Proud to set the world record for most crayons donated in history! We surpassed our goal of 1 million crayons! THANK YOU EVERYONE! 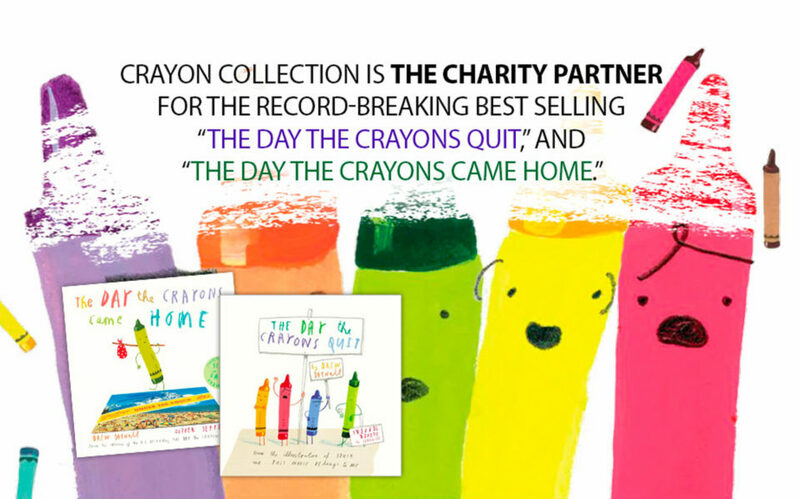 Crayon Collection is THE CHARITY PARTNER for the record-breaking best selling The Day The Crayons Quit and The Day The Crayons Came Home. The Crayon Collection model is simple, but our impact is extraordinary. By collecting gently-used crayons from kid-friendly restaurants and hotels we intervene in a cycle of waste that has existed for decades. 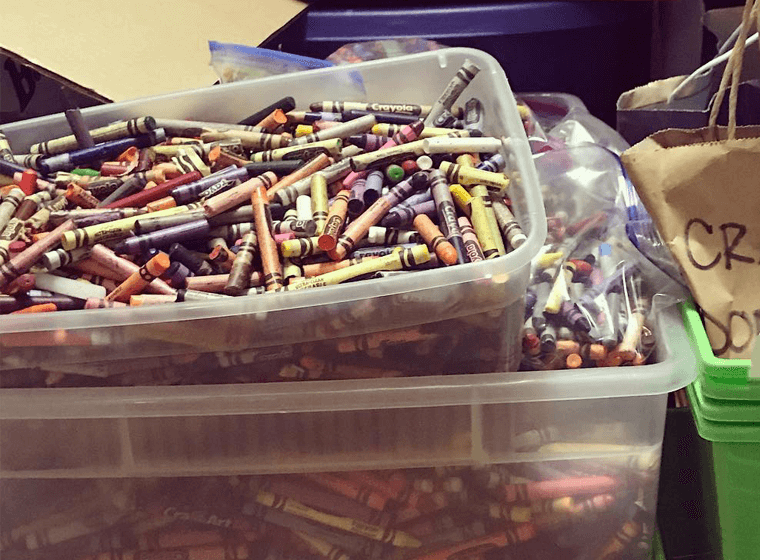 This community-based collection effort supports the environment by redirecting still good crayons to teachers instead of landfills . 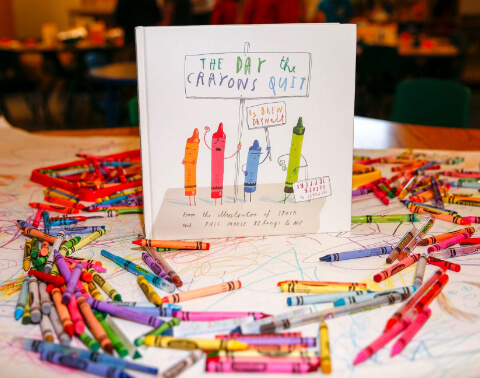 We save an extraordinary tool of expression, curiosity and learning — the crayon — from never decomposing in landfills, and redistribute them to local schools in need across the entire country. Our program prevents millions of crayons from being discarded each year and instead repurposed for teachers and students, along with best in class resources to support art education. At the heart of our work is a desire to create a global movement for change, a new “eco-normal” consciousness that is mindful of the environment and nearby communities in need. Get involved — you can help, too! Collect crayons when you dine out and ask restaurants in your neighborhood to participate too. Even community members and classmates will join in by contributing their gently used crayons. Collected crayons are donated to Head Start Centers and Title 1 elementary schools. These crayons are used to complete homework and are the main tool in our Art Education program. 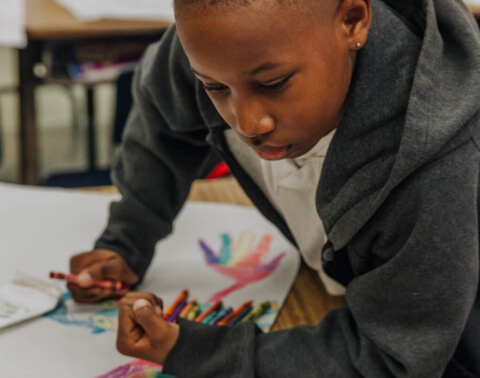 Your generosity allows us to continue our programs to pair restaurants with schools, as well as supplement our partner schools with Art Education programming. 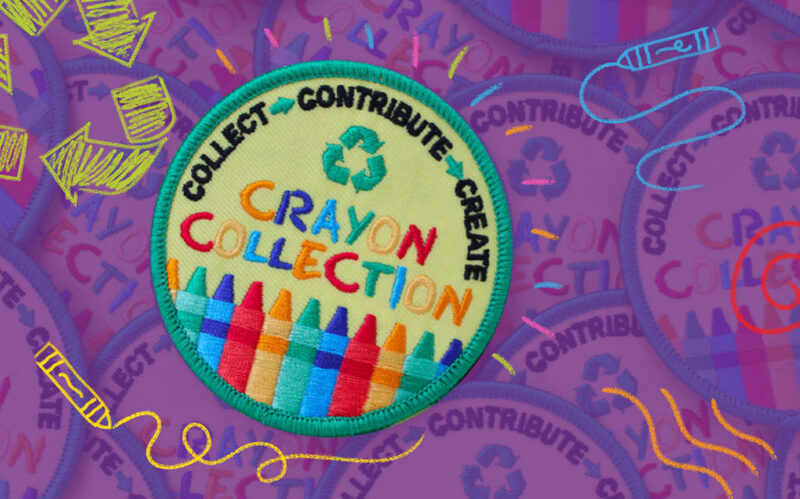 Shift the mindset of waste in our culture and help save millions of still good crayons get into the hands of children instead of never decomposing in our landfills. Crayon Collection partners with renowned artists such as Kenny Scharf and Annie Lapin to design and implement interesting projects using gently used crayons. This artistic mentoring process adds a deeper level of Art Education using a resource (crayon) that otherwise would have been trash. 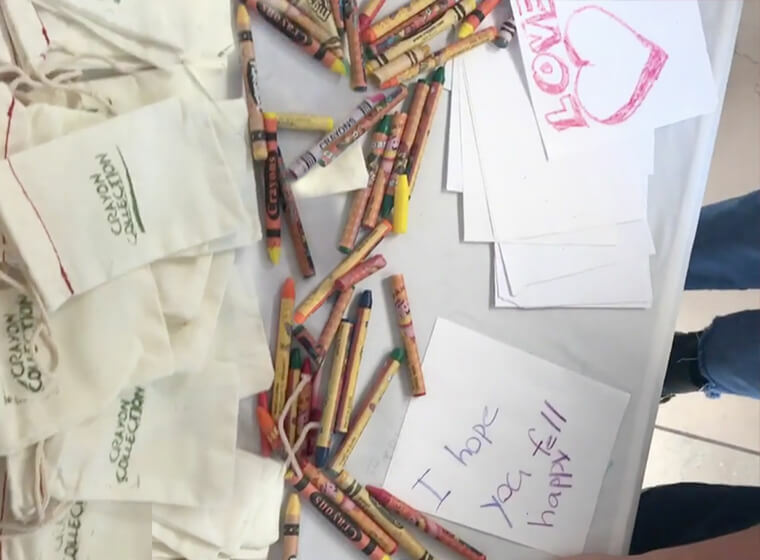 At community events and organized volunteering opportunities we connect kids with kids, through our Color Kindness Program. We ask children to pack up a variety of crayon colors into a cloth pouch. We then ask that child to include a hand-written note of positivity. This gentle expression of care goes a long way and is a source of joy for both recipient and writer. Kids need color. 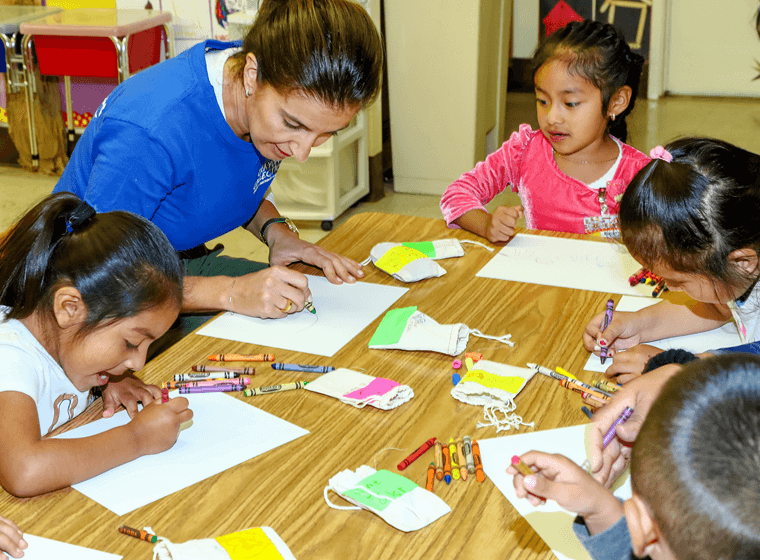 Provide them with something as simple as some crayons and some paper and you provide an outlet for them to explore their imagination, which is so important because for some kids that is all they have. Produced by Motion Distillery, starring Blue Green. Very special thanks to the Creative Visions Foundation who was key to making this video possible. 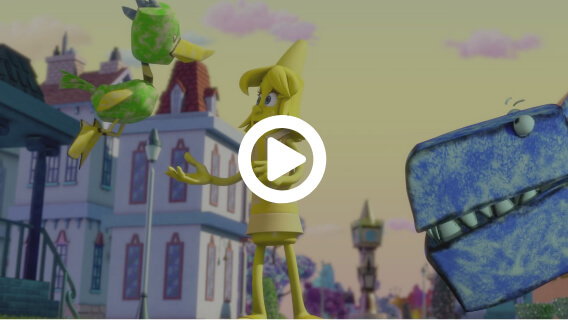 Watch our PSA at the end of the adorable children’s film by Magnolia Pictures called, “The Hero of Color City”. Special thanks to Owen Wilson, Christina Ricci and Jessica Capshaw for lending their voices to this video. 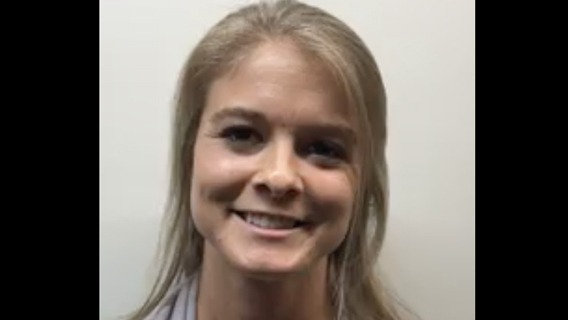 Teacher Jennifer Hansen talks about how Crayon Collection fuels children’s imaginations while saving the earth at the same time.